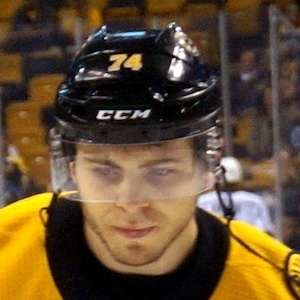 Left winger drafted 14th overall by the Boston Bruins in the 2015 NHL Entry Draft who made his pro debut with the team during the 2017-2018 season. He was a 7th round selection of the Swift Current Broncos at the 2011 WHL Bantam Draft. He played with SSAC Athletics of the AMHL before that. He scored his first ever professional goal in his first NHL game ever. It was against the Nashville Predators. He is the son of former NHL player turned Hockey Night in Canada broadcaster Louie DeBrusk. He joined a Bruins team that was captained by Zdeno Chara.